Often in life there are moments when an ice-cold, refreshing Gin & Tonic is the perfect refreshment. Whether at the height of a summer’s day or on a Friday night around six, one of life’s great simple pleasures starts with the tinkle of ice into a tumbler or hi-ball glass, a good slug of aromatic gin, an arc of fizzing tonic and a citrus burst, courtesy of a wedge of lime. 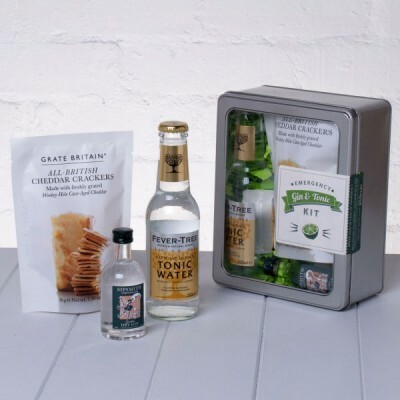 We just love the G&T, perhaps the most quintessentially English of drinks and with this in mind we’ve created the Ultimate Gin & Tonic Kit, a wonderful way to treat yourself or the perfect pressie for the G&T lover in your life. Always ready to Champion a small, artisan producer, we’ve selected Sipsmith London Dry Gin (hand crafted in tiny batches), partnered it with Premium Fever Tree Tonic Water and added a fresh, juicy lime. When mixed together over ice these make, in our opinion, the perfect G&T. To finish off, just to overload your senses and explode your taste buds, we’ve added a packet of mouth-wateringly moreish cheddar crackers, the perfect snack to nibble on as you enjoy your drink. Gift for Christmas so as yet unopened! 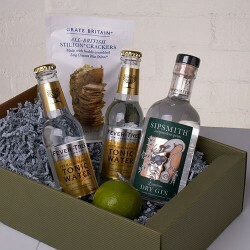 Recipient was delighted with the hamper - ideal and unusual gift. Absolutely brilliant service and product. 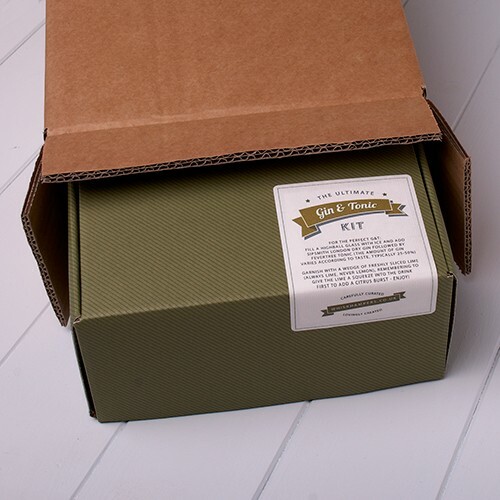 The hamper was beautiful, delivered exceptionally quickly (with a handwritten card no less!) and received very gratefully. Thank you! I did not see the hamper but the recipient really raved about it . Specifically commented on how nicely it was presented. They plan to use Whisk in future too! As I was not at the property to see the product myself, I can only provide feedback based on the recipients email comments, which said that they contents of the package were "good"
Ultimate Gin and Tonic and Stilton biscuits wonderful. My mother in law was thrilled with her gift - high quality, packaged well. 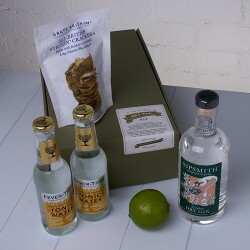 Lovely hamper - gin, tonic and crackers were all delicious! 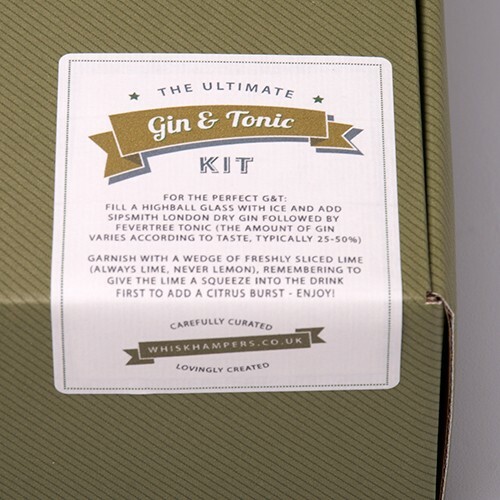 A lovely gift for a G&T drinker. Well packaged with the personal message handwritten. A nice touch. This was so good it was almost inhaled. Will order two next time. I didn't get to see it in person, but this was much appreciated by my client, so thank you. The kit came in what looked like a shoe box. 'A' for content. 'F' for presentation. The Gin & Tonic Kit made my Godfather's birthday extra special!